1. Boil some water with salt in a pot. 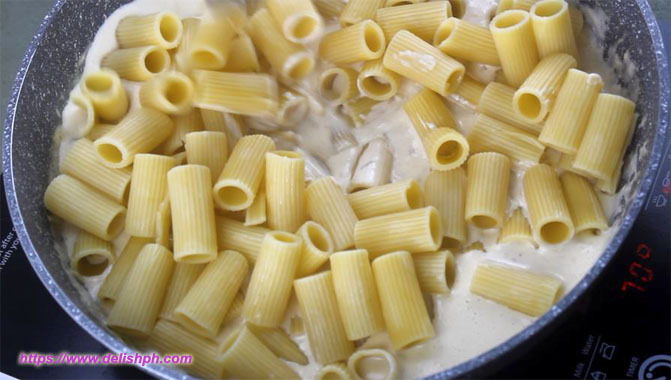 Cook rigatoni pasta, follow the instruction on the packaging. Minus 2 minutes of the cooking time. Drain and set aside. 2. In a pan, melt the butter. Add in the onion and the garlic until brown and translucent. 3. Pour in the tuna flakes in oil. (do not drain the oil). 4. Pour in the cream and cheddar cheese. Give it a good stir, until everything were properly incorporated. 5. Add in the cooked rigatoni pasta. Season with salt and pepper. 6. Lastly, add the green peas and parsley. Cook for about 5 minutes. 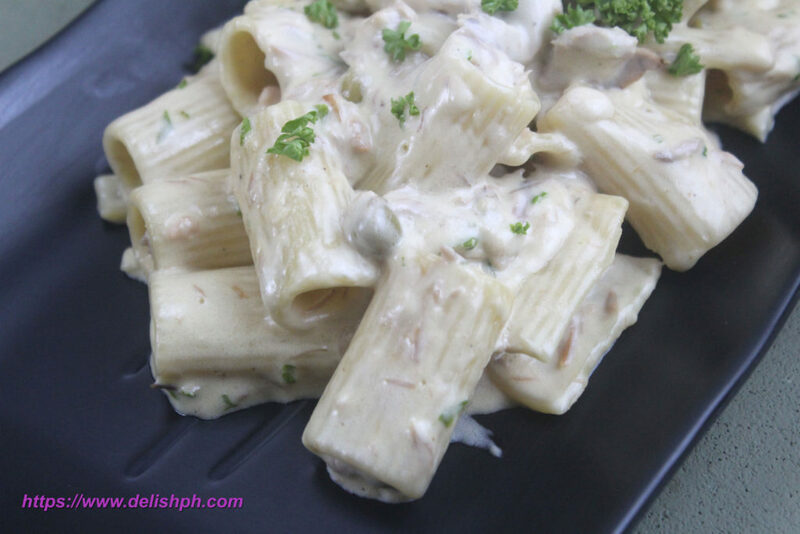 Tuna Alfredo Rigatoni is such a great option if you are looking for some delicious pasta recipe to prepare. It is also cheaper and less hassle to prepare. You can even use a spicy flavored tuna flakes in oil for some extra kick. If you have any question and suggestion about this recipe, drop a comment below or send me an email, or direct message us on our Facebook Page.